A foreign team has begun examining the situation of the mangrove in Kulhudhuffushi in Haa Dhaalu Atoll. 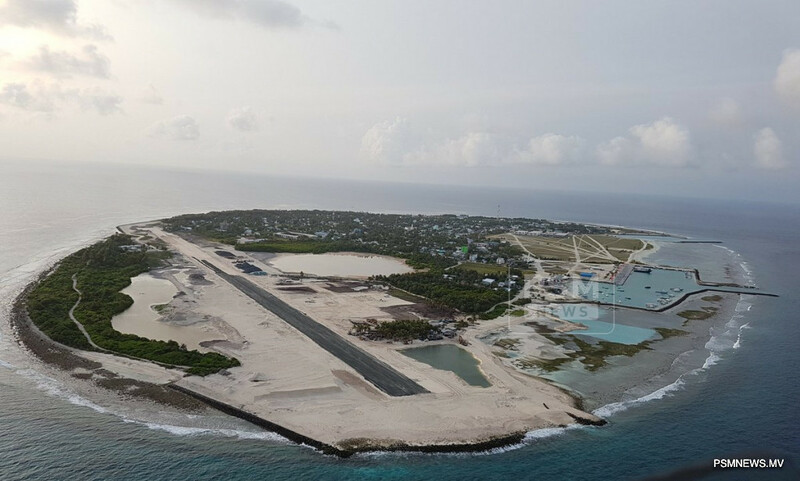 As part of the airport development project, 9 hectares were reclaimed from mangroves with an additional 6 hectares from the lagoon in Kulhudhuffushi. Following the considerable negative impacts on the environment, including permanent loss of habitat for the flora and fauna, loss of terrestrial vegetation and deforestation and the effect on marine life due to sedimentation. In March, the government accepted an offer from Mangrove Action Project (MAP) to help restore and revive the Kulhudhuffushi mangroves after the airport development project destroyed a large part of the unique ecosystem. Speaking to PSM News, Minister of State for Environment Ministry Dr. Abdulla Naseer said a team from MAPs will assess the damages and find a way forward to revive the area. He revealed a report will be developed by MAPs which will assist to identify the next step of the project. The Kulhudhuffushi mangroves were reclaimed in late 2017 to make way for a much disputed airport with disregard to the findings and recommendations of the Environment Impact Assessment (EIA) report. The reclaimed part of the island's lagoon and the newly built runway have now cut off access for seawater to enter the mangroves during high ties. The loss of access to tidal hydrology is a serious threat to the island's remaining mangroves. MAP is a non-profit organisation which brings collaborative and innovative solutions to conserving and restoring earth's invaluable mangrove forests. MAP is partnering with the local alliance called Save the Maldives and with the IUCN sub-group, Mangrove Specialist Group (MSG), which is composed of scientific mangrove experts from around the world who are dedicate towards reversing the loss of mangrove forests and restoring damaged and degraded mangroves back to healthful and productive wetlands.